Tucson Daily Photo ~: Today's the Last Day! 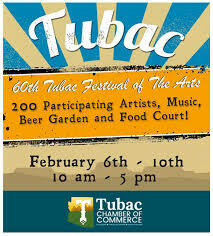 If you have been meaning to drive down to Tubac for the wonderful annual Festival of the Arts, today is your last chance. From 10am - 5pm enjoy music and art in a quaint village setting. Drive South on I-10 and take Exit #34 for Tubac. With spring comes bugs - BIG bugs! Throwback Thursday ~ Throwing Dust! "Missile With A Man In It"